In Lebanon, US State Dept official calls Hezbollah "unacceptable"
Members of the Lebanese Shia group Hizbullah and the 8 March Alliance have been pressing for the participation of Damascus in the Arab Economic and Social Development Summit (AESDS), slated to be held in Beirut on 19-20 January, while also demanding the postponement of the summit if Syria is not invited. Hizbullah, an ally of the Syrian regime, is pushing the Arab League to reinstate Damascus in the regional bloc after its expulsion eight years ago over its response to opposition in Syria. Syria’s possible participation in the AESDS was not discussed at an Arab League Council meeting on 9 January, much to the disappointment of Lebanese media loyal to Syria. Hossam Zaki, assistant secretary-general of the Arab League, earlier stated that a decision such as reinstating Syria in the Arab bloc would have to be taken unanimously. There was no consensus among the League’s member states to accept Syria’s return to the bloc, he added. The Arab League’s earlier decision had been to freeze Syria’s participation in the League, not its membership, an official at the League told Al-Ahram Weekly. It had been made during a summit of foreign ministers, not delegates, and required a similar or higher-level meeting to reverse the decision. Head of the Lebanese Wefaq Party Bilal Taqieddin called on Lebanon to put off the AESDS until Syria’s participation had been confirmed. “There is no harm in postponing the meeting until March. Lebanon stands to gain from Damascus’ participation in the AESDS or its postponement until a solution emerges,” Taqieddin said. Lebanon’s Al-Mourabitoun, or Independent Nasserist Movement, also loyal to Syria, urged the country’s President Michel Aoun to invite Syria to the AESDS, describing Damascus as the “beating heart” of the Arab world. They include the Future Movement, the main representative of Lebanon’s Sunnis, the Lebanese Forces, the second biggest Christian bloc, and the Druze-supported Progressive Socialist Party. Walid Jumblatt, the head of the latter, is alleged to have spoken of Syrian “interference” in the formation of Lebanon’s government. The position of powerful players, such as the leaders of Hizbullah, the Amal Movement and the Aounist Free Patriotic Movement, will all be important in any decision. 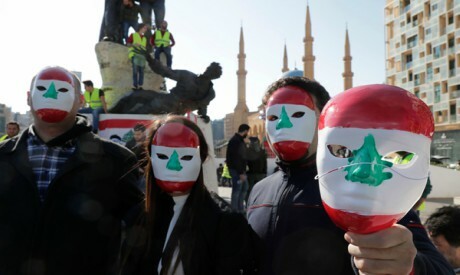 Needless to say, Lebanese currents in alliance with Syria support its return to the Arab League, but it is not known whether they will be prepared to use the issue to force a rift in the coalition Lebanese government or a wider rift in the Arab League. Lebanese Parliamentary Speaker Nabih Berri is claimed to have said that freezing Syria’s activities in the League was a mistake that ought to be rectified. Arab and Gulf delegations had also sat alongside Syrian representatives in Arab parliamentary meetings in Geneva, he added. Aoun has said that the AESDS must be held on its scheduled date, putting rumours of its postponement to rest. Diplomatic observers said Beirut had decided to leave the decision on Syria’s participation to the Arab League, since it was the regional bloc that had suspended Syria’s membership. However, Gebran Bassil, president of the Free Patriotic Movement and Aoun’s son-in-law, has always been reserved about Lebanon’s policy of distancing itself from the crisis in Syria, often requesting boosting relations with Damascus. Lebanese media cited diplomatic sources as saying that the Free Patriotic Movement would not make the mistake of inviting the Syrian regime to the AESDS, notably because the Arab League does not seem to be in a rush to decide on Syria’s return to the bloc. There are sharp differences between the Arab countries on the issue, confirmed when an Arab League Council meeting was cancelled on Sunday and again when the meeting was rescheduled with Syria not on the agenda. Moreover, inviting Syria to the AESDS will have repercussions on relations between Aoun and the Lebanese Future Movement, notably because of the latter’s accusation that Aoun was responsible for the assassination of former Lebanese prime minister Rafik Al-Hariri, the founder of the movement. By not discussing Syria, the Arab League has squashed hopes among the regime’s allies in Lebanon for normalisation. The Amal Movement, a supporter of Syria, has also announced its rejection of Libya’s participation in the AESDS because of Tripoli’s lack of cooperation with Lebanon in the case of the disappearance of Amal founder Imam Moussa Al-Sadr who disappeared along with two companions during a visit to Libya in the 1970s. The Libyan authorities stated at the time that Al-Sadr had left Libya for Italy, something that Italy denied. Berri, the head of Amal, has insisted on not inviting Libya to the AESDS. However, the head of the meeting’s organising committee, Anton Shoqeir, and executive committee head Nabil Shadid have already made arrangements for the meeting. “Regarding Libya’s invitation to the summit, Speaker Berri informed the two members of the committee of his approval of Libya’s invitation through diplomatic channels, in this case Libya’s representative to the Arab League,” a statement said. The issue of Syria’s invitation, the statement continued, was contingent on an Arab League Council decision at foreign-minister level and was not an exclusively Lebanese decision. Libya participated in the 2002 Arab League Summit meeting held in Beirut, the statement noted. In response, Berri’s office issued a statement saying that the committee statement was “fabricated and baseless”. In fact, the Lebanese Finance Minister had “visited the president at the request of Berri to protest against inviting Libya to the summit”. It said it might mobilise the Shias in Lebanon if Libya was invited to the meeting and warned against the “public reaction that might arise from inviting the Libyan delegation”. MP Mohamed Khawaga from the Development and Liberation bloc said on Lebanese television that Beirut’s stance on Libya’s participation in the AESDS was clear. Libyan officials were not welcome in Lebanon, he said, as long as Libya did not cooperate in the Al-Sadr case. MP Mohamed Nasrallah from the same bloc said inviting Libya would constitute an assault on the dignity of Lebanon and be disrespectful to a wide stratum of Lebanese people. “The public is not waiting for our call for mobilisation. The people will move on their own, in which case no one will be able to control the streets,” he said. Sources told the Lebanese NBN channel, loyal to Berri, that the Amal Movement and followers of Al-Sadr were heading towards escalation if the Libyan delegation was granted access to Lebanon. It should be mentioned that the Syrian regime, the ally of Hizbullah and Amal, had a strong relationship with the late Libyan leader Gaddafi. Lebanese sources said that it would have been difficult for Al-Sadr to have travelled to Libya without the approval of Damascus and its making arrangements for it. Invitations have been distributed, including to the heads of all the religious denominations in Lebanon. Assistant Secretary-General of the Arab League Hossam Zaki, who flew to Lebanon to arrange the convening of the summit, said it would convene as scheduled and that conflicts within Lebanese circles were matters for Lebanon’s domestic policies and not the Arab League.